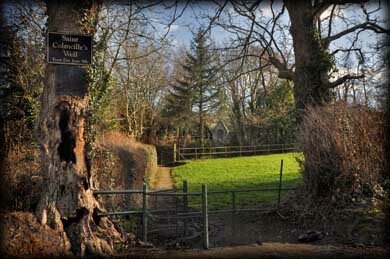 A small walk along a pathway leading across a bridge over a stream, will bring you to this ancient well nestled in the trees. 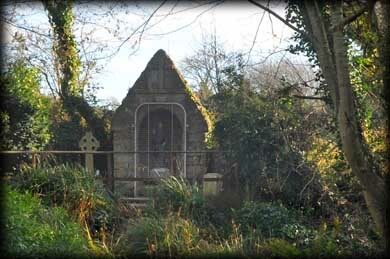 It is known locally as St Colmcille's Holy Well, but obviously the well was here long before Christianity. 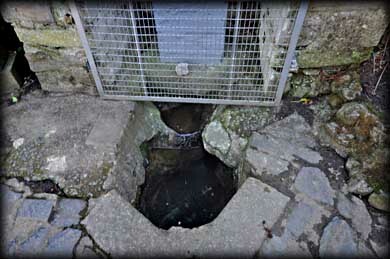 Local tradition states that Colmcille stopped here to quench his thirst during one of his many journeys throughout Ireland and subsequently blessed the well. 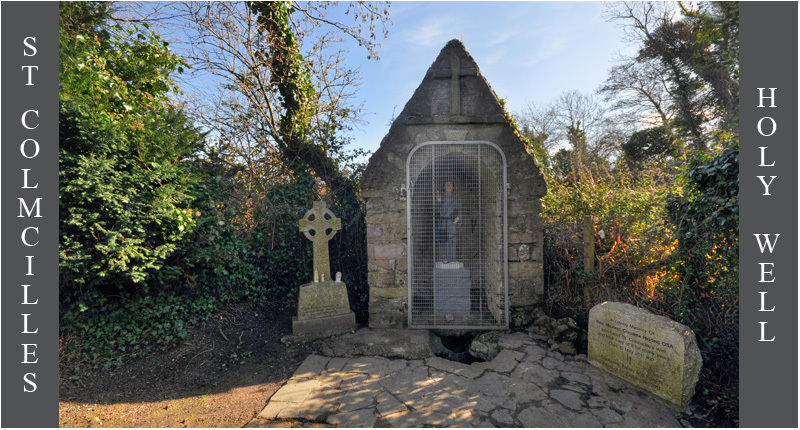 The shrine which now stands over the well was added in the early part of the 20th century due to the efforts of two local Priests. One of the priests had noticed a local postman stop here daily on his round. A pattern took place here yearly on the Saint's feast day, .the 9th June. This is still a gorgeous peaceful setting despite the rubbish dumped along the side of the main road. Situated: Take the Knocklyon exit on the M50 and head west. Take the first left on to the Ballycullen Road. The well is on the left near the end of this road. Discovery Map: 50. O 1161 2545. Last Visit Feb 2012.